All oven and range cleaning enquiries are welcome. We never turn away a domestic oven booking. All ovens receive the same careful attention, whether large or small, standard or non-standard. 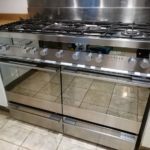 We also clean other cooking appliances, such as microwave ovens, hobs, and/or extractors. Happy to discuss any aspect of our approach to oven cleaning. We are proud to be your local, independent (not franchisees), oven cleaning company. At your service, and always polite, punctual, and professional. 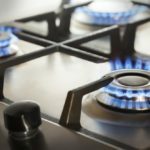 Our oven cleaning method is unique because, unlike other cleaning companies, we do not have to depend on a vehicle-based soaking tank. Front door open in all weathers? No thanks. Once we are settled in your kitchen, we stay put until that final flick of the polishing cloth. If you have difficult access or parking at your property, don’t worry. Stairs are no problem for us and, as long as we don’t have to leave our car too far away, that’s fine too. Happy to help. Oven and Range Cleaning 01989750121. Happy to help.